The national Firefighter Safety Stand Down event recently concluded; this year's theme was "Be aware – get checked." Firefighters face risks such as heart disease, diabetes, neurological disorders, infertility and cancer. It is no secret that several types of cancer are a big concern among firefighters: thyroid, bladder, prostate, testicular, breast, brain, multiple myeloma and non-Hodgkin's lymphoma. A recent study found that the rate of breast cancer among women firefighters aged 40 to 50 is six times higher than the national average. 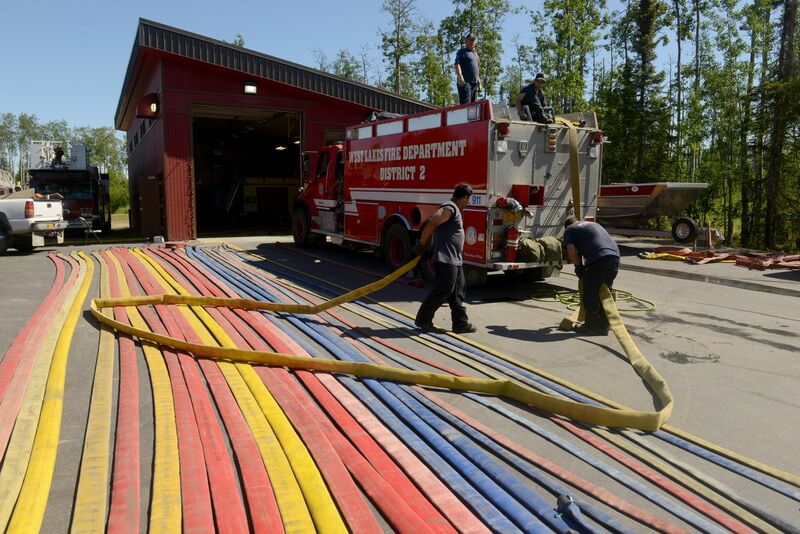 Our health issues have gotten so bad that Alaska passed a presumptive cancer law that says if a firefighter contracts certain types of cancer, the cancer is automatically assumed to be work-related and the state becomes responsible for the medical bills. I am glad that the state recognizes the risks firefighters face; however, the cancer law is only palliative, not preventative. We need to be aware of how to prevent getting sick in the first place. As a current fire chief, my responsibility is not only my safety, but also that of my firefighters. Study after study have concluded that organohalogen flame retardants pose a serious health risk to the public in general and that firefighters and children are particularly vulnerable. Toxic flame-retardant chemicals are in products we use every day. However, they do not actually provide fire safety benefits. While chemical companies say their flame retardants make our products safer, the truth is that flame retardants added to polyurethane foam products have been shown to be ineffective in fire protection. Furthermore, safe alternative technologies and methods make it unnecessary to add toxic flame-retardant chemicals in order to achieve fire safety. Research data show that firefighters experience cancer at much higher rates than the public because carcinogenic fire-retardant chemicals are absorbed during fire-fighting operations. When flame retardants burn, they generate smoke and toxic chemical byproducts. Large amounts of cancer-causing dioxins and furans are released; they penetrate firefighter's protective gear and are absorbed and inhaled by firefighters. Researchers have measured levels of these harmful chemicals in firefighters before and after a fire; the results showed levels three times higher after the fire. In 2017, the federal Consumer Product Safety Commission issued a warning requesting that manufacturers, importers and retailers stop using or selling products containing chemical flame retardants — children's toys and childcare articles, mattresses and mattress pads, upholstered household furniture and plastic casings for electronics. Clearly, eliminating toxic flame retardants would be a big preventative step in the right direction. Fortunately, we have good people working to do exactly that! In 2018, Rep. Geran Tarr sponsored House Bill 27, the Toxic Free Children Act, and we are pleased that it passed the House Resources Committee with no objections under her leadership. We are grateful to Rep. Tarr for her tireless effort and will continue to support a similar bill when she introduces it for the 2019 Legislature. It's time for Alaska to join the other 29 states that are adopting policies to eliminate harmful flame-retardant chemicals. Jeff Tucker serves as president of the Alaska Fire Chiefs Association.